While the surf was small, it was definitely clean and more than enough to deliver some World Class Surfing on Day 1 of the US Open of Stand Up Paddling yesterday. With a truly international field of stellar athletes stepping up to do battle, the scene has been set for not only a climactic finish to the Trials, but a fiercely contested Main Event for the Men over the coming days. The standouts really highlighted the depth of the SUP demographic, with phenomenal performances from young guns as young as 13 years old through to the more mature established legends. This year’s Open Trials saw the welcomed return to World Tour competition of the legend Colin McPhillips, whose flowing style impressed the judges and audience alike to earn his spot in the quarterfinals. Colin will now come up against the young Maui talent Alohikea Kalalau and the young French contender Julien Bouyer (Naish) to battle it out for their place in the semi finals. 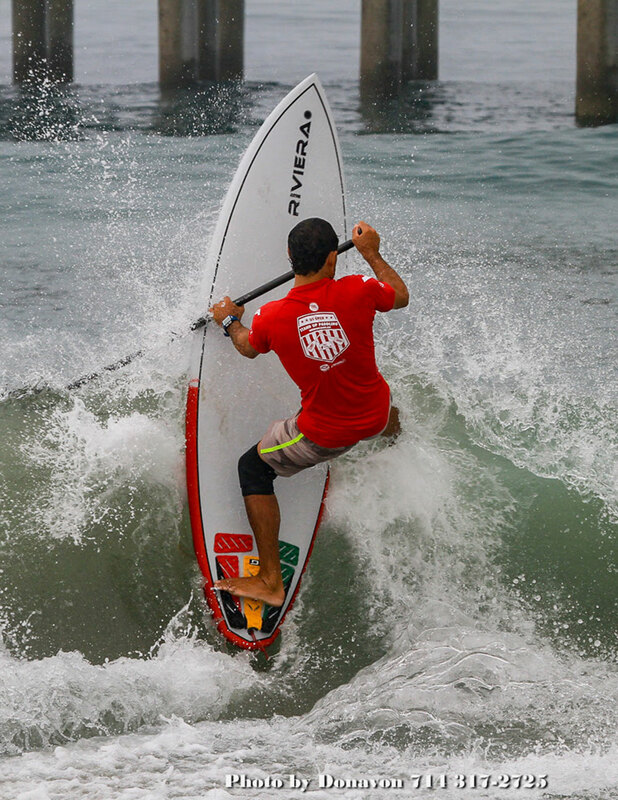 The Punta Sayulita crew from Mexico made their presence felt on day one, with solid performances from both Felipe Rodriguez and Fernando Stalla (Rogue). The Mexicans seemed to feel right at home in these small beach break conditions, much like what they surf in back home, as they strung together a series of solid scores to advance through to the quarterfinals, with Felipe posting the highest heat score total of the day. 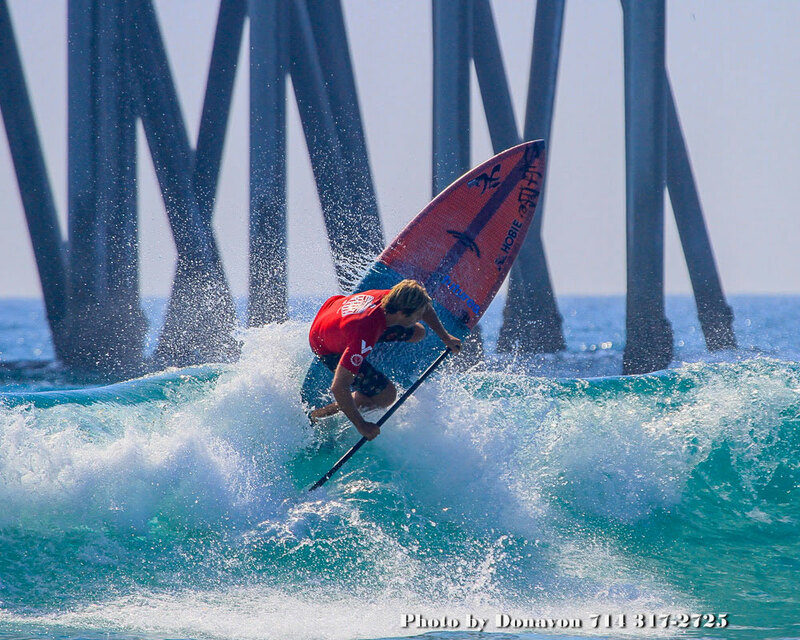 The wealth of talent coming into this year’s Open Trials here in Huntington is astounding, as athletes from all over the world have stepped up to do battle in Surf City USA for a chance to get their entry onto center stage for the prestigious Main Event of the Stand up World Tour. One of the leading lights out of this new wave of talent is a young man by the name of Harry Maskell (Bic SUP) from Australia, who put on an impressive display of performance surfing throughout the day to earn the 2nd highest heat score total of the Trials and his place in the quarterfinals. He was not alone, as young talent from France, Spain, the UK, Tahiti, Australia, Japan, Mexico, Hawaii, Israel, Brazil and of course from right here in the USA (to mention just a few of the standouts) have stepped up their game and are every bit worthy of their places in the Main Event. As the talent pool deepens, the competition for those coveted 28 direct seeded spots into the Main Event only intensifies, not to mention the significance of the wildcard process. It is an exciting time for the sport, as its evolution continues to skyrocket here on the Stand Up World Tour. 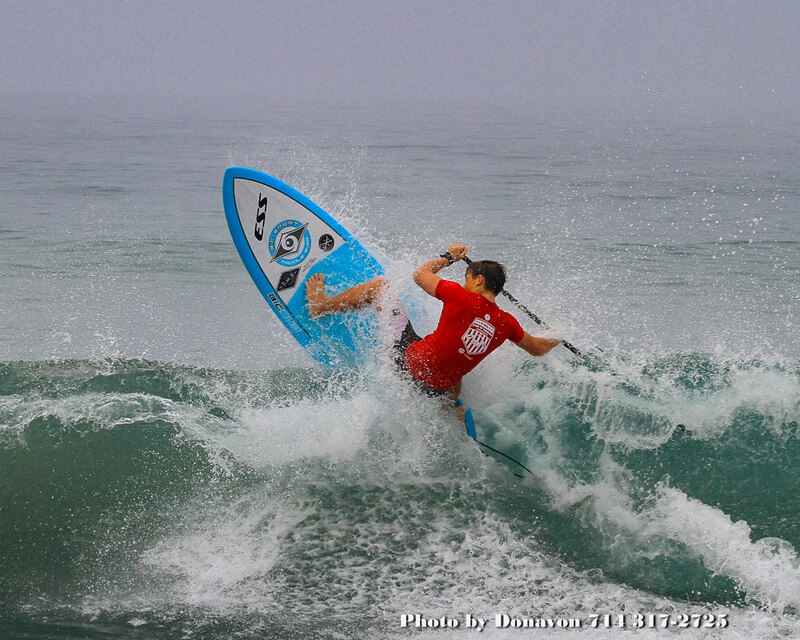 This year’s inaugural Waterwoman Invitational saw a super heat of 4 of the most versatile athletes on the Stand Up World Tour step up do battle across Stand Up Paddlesurfing and Longboarding here on Day 1 of the US Open. First up was the SUp division, that saw a tight battle for 1st place, as Sophia Bartlow, Izzi Gomez (Starboard) and Tarryn King (Coreban) all battled for the top spot, with Sophia just taking the edge in a fiercely contested heat. Next up was the longboarding, as we saw Sophia and Candice Appleby (Infinity) going head to head, with Sophia once again taking the heat with a stylish display of longboard surfing, mixing critical turns with nose rides through the Pier. So coming into the final division, Sophia is in a strong position, with 2 bullet wins from the first 2 divisions and just shortboarding to come. Stay tuned for an update on the conditions at 7am PST Monday morning, but as it stands now, it looks likely this final heat will be run around Noon PST. 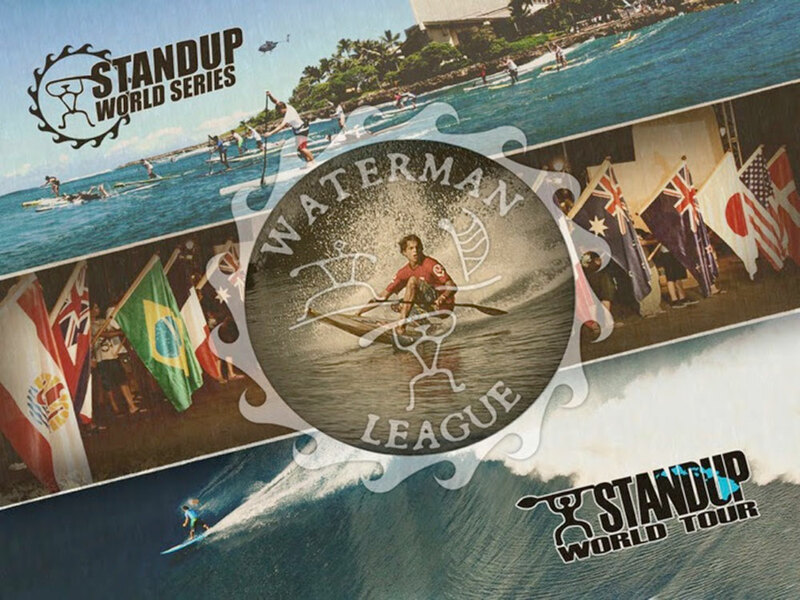 Join us LIVE at www.watermanleague.com to find out who will be crowned the inaugural Waterwoman Champion here in Surf City USA at this year’s US Open of Stand Up Paddling. It has been an extremely exciting time here at the Waterman League as major new partners step up to align with the Tour & Series for 2016 and beyond, a move will elevate the World Championship properties to a whole new level both in terms of scale, reach and impact. As a result, a realignment of operating and marketing partners and resources has been necessary in order to more readily prepare and deliver on these exciting new partnerships for 2016 and beyond. What this means is that the 2015 World Tour will now finish here in Huntington Beach, where the new World Champion for both Men & Women will be decided. While this is now a shorter season than anticipated, with the World’s very best in attendance, the World Titles now very much on the line with a number of the leading lights in contention, it will be a dramatically exciting next 3 days here at the 2015 US Open of Stand Up Paddling. However, please note that the 2016 World Series Racing Titles will still carry onto Oahu’s fabled North Shore at Turtle Bay from the 16th – 18th October as planned, where the racing season will close in dramatic style with the World Series Finals at Turtle Bay.